Fun abounds in this virtual adventure from a popular author of horror and comedy for children. A new edition now available with additional artwork. When Nahim sends a virus into Polly and Amina's computer, he has no idea that all three of them will be dragged inside the internet! How will they get home? How will they fight the virus? Luckily, Nahim's ICT class partner Max is good with computers and is on hand to help save the day! 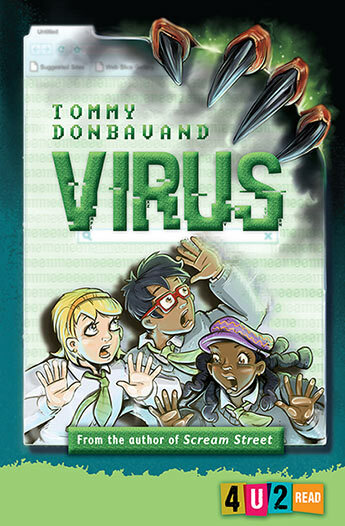 Tommy Donbavand is the author of the popular Scream Street series (Walker Books) which was also adapted into a hit CBBC show. His Barrington Stoke title Uniform won the 2011 Hackney Short Novel Award. He visits schools and runs popular reading and writing events. He lives in Lancashire.